Both the Stony Brook men’s and women’s cross country teams came up big at the IC4A Championships held in Van Cortlandt Park in the Bronx on Nov. 17. In an impressive showing, the men’s team secured the championship with a great all-around team effort. Juniors Cameron Avery and Vann Moffett were key in securing the team win in the 8k race, finishing second and third with times of 22:51 and 22:56 respectively. Seniors Darian Sorouri, Michael Watts and Danny Connelly, who finished fifth, seventh and eighth with times of 23:06, 23:07 and 23:10 respectively, added to the team effort in a big way. Junior Luke Coulter, ninth with a time of 23:10, and freshman Robert Becker, 11th with a time of 23:14, rounded out the team effort. The team secured 25 total points for the win. “There is a lot of history associated with the IC4A Championships so it was nice to get the win today. Today was a better reflection of the type of team we expected to be all season. The guys got involved from the start and competed all the way,” head coach Andy Ronan said in a press release after the race. The women’s team achieved similar success and did not disappoint with a third place finish in their 5k race. Top runners for the women’s team included juniors Alexandria Ortega and Holly Manning who finished 13th and 22nd with times of 17:28 and 17:36 respectively. Freshman Klaire Klemens, junior Jillian Manfredi and freshman Rachel Ruggiero finished 29th, 34th and 38th with times of 17:47, 17:52 and 17:58 to add to the team effort. Junior Clodagh O’Reilly, who finished 50th with a time of 18:12 and freshman Tara Hauff, who finished 78th with a time of 18:43, secured the third place finish for the team. The women’s team collectively finished with 135 points. “Today’s 3rd place finish at the ECAC Championships was a nice ending to the cross country season,” Ronan said. 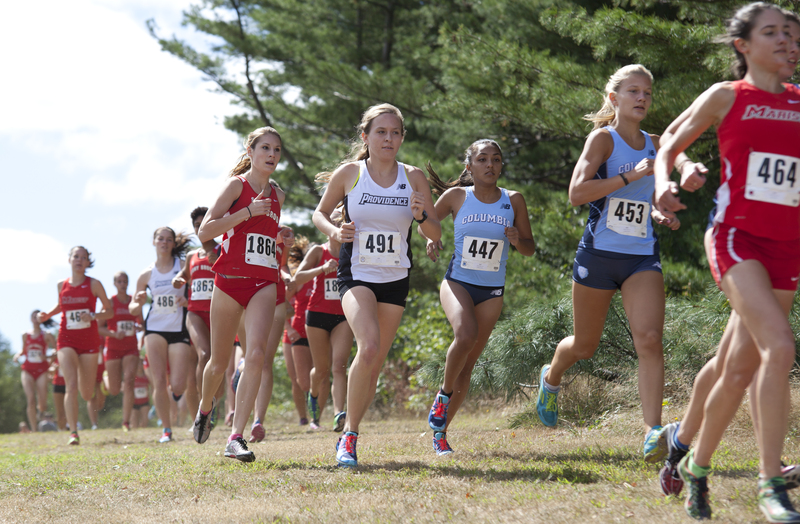 The IC4A Championship marks the final race for both cross country teams this season. In a farewell to the season, Ronan added that he is proud of his graduating runners.